Gone are the days when people had to visit nearest bookstore or news-stand or an exhibition in search for newly launched books to satiate their quest for a book that would match their interest. 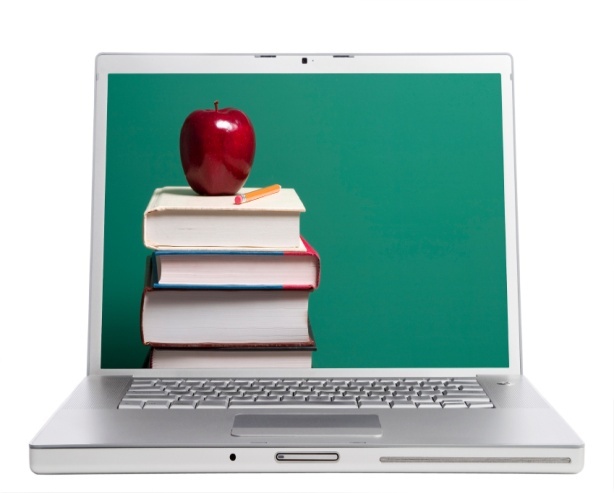 It has been forecasted that e-book market in US alone is to reach $5.2 billion by 2016. This is reflected from the fact Amazon.com announced in May, 2011 that its e-book sales now exceed all of its printed book sales. No wonder, authors from all round the world are now turning to social media for marketing and launching their books. Guy Kawasaki did so with his book “Enchantment” which helped him to grow his existing fan base on his Facebook page where he provided the first few chapters free to readers. New authors such as Amish Tripathi (author of best seller “The Immortals of Meluha” & “The Secret of Nagas”) used similar strategy to provide an online flavor of his book and generate interest among people. He continued with aggressive marketing for his book and with the help of his musician friend launched a live-action trailor film on YouTube and built a community around it to tap in the readers’ response. The video captured the consumer senses and took them through a roller-coaster ride helping them to visualize the subject of the book. The book became No. 1 best-seller within 2 weeks of its launch. Seth Godin, a leading blogger, did so by creating an on online community, triiibes.com, on the lines of his book “The Tribe” which passed the correct message of what the book is all about. These innovative ways of promotion by authors have certainly saved millions of dollars that were spent previously to create an effective brand. Next time you enter your nearest mall, don’t be amazed to see a huge replica of an airplane, which is surrounded by beautiful air hostesses that makes you a feel as if you are about to enter a real plane ready to take off. Welcome to the world of pop-up stores—temporary shops that usually sell goods for a limited period of time. Designed to generate buzz and ensnare shoppers with a get-in-while-you-can appeal, pop-ups allow brands to move quickly, opening up shops to test a new product or market, and closing them without much commotion. The trend involves ‘popping-up’ one day, and disappearing the next. These small and temporary stores have a tendency to pop up unannounced, draw in big crowds, and then disappear or morph into something else the next day. This creates a unique environment of relevance and interactivity that creates a buzz by generating consumer exposure. Recently Singapore Airlines, in few selected malls across Kolkata, Bangalore and Chennai, popped open 400 square feet facilities complete with mock-up seats, flight attendants welcoming you, in-flight amenities and cutlery to announce the launch of its enhanced economy and business class seats in a new way. It can be called as an evolution of the modern retail environment providing a win-win situation. A comparatively low-overhead option for the brands, pop-up store allows them to step outside their traditional walls and meet a broader audience. It results in a flow of extra rental income and more traffic (footfalls) for the mall owners and it gives an opportunity to shoppers to touch and feel a product, sometimes even before it is available in the market. Not surprisingly, brands such as Nokia, Singapore Airlines, Sony, Panasonic, Samsung , Canon, Acer and Dell are hopping onto pop-up store bandwagon warming the customers to here-today, gone-tomorrow brand tactic. Japanese major Canon is setting up 100 pop-up stores during the ongoing festive season for promotion of the latest range. NIKE is entering this innovative marketing trend with the Nike Runner’s Lounge, a temporary location where athletes can, among other things, rendezvous for a run, get free massages, drinks and snacks and perhaps most significantly, test-drive Nike’s line of running shoes. Nokia’s focus on pop-up stores in India started since the time the company rolled out its services under the Ovi brand last year. The company had then set up smaller stores to familiarize consumers about its array of services and also download content into compatible handsets. 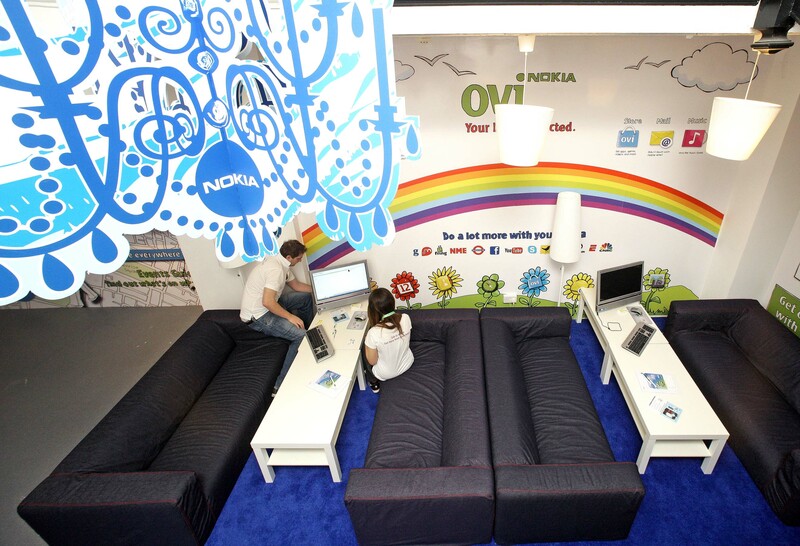 Enthused by the success, Nokia runs numerous pop-up stores across the country in electronics and mobile phone retail chains like The Mobile Store, Reliance Digital, Croma and Spice. So, just ‘pop-out’ to the nearest mall and experience this emerging, innovative and effective marketing tool. Have you ever felt like pulling your hair out when you are barraged by pop-ups and banners on web pages, calls from stockbrokers and telemarketers, TV and radio spots every few minutes, tons of commercial messages in movie theatres or by similar marketing messages wherever you go. This practice of ‘interruption marketing’ haunts you in whatever you are doing as some marketer expects you to pay attention after interrupting you. Today, the biggest challenge is how to turn familiarity into love and trust. These interruption marketing strategies are fast becoming outdated. According to marketing guru Seth Godin this is an era of “permission marketing”. He says that marketers have no right to sell to customers. Consumers are no longer pleased by interruptions and with an ocean of options available they can easily shift to the next available brand. The challenge for marketers is to cut through the clutter and get noticed. That is where permission marketing plays a role as it is built around getting the customer’s confidence and buy-in before revealing further messages. This changes the ‘stalking’ approach of interruption marketing to a ‘love affair’ resulting in an envious long term relationship with the customer. Permission marketing improves targeting by helping consumers interface with marketers with relevant promotional messages. Yesmail.com, a provider of online e-marketing solutions claims that customer response through e-mails is immune to the measurement problem of banner advertising. The customer receives the ads in his mailbox and thus is more likely to pay more attention to them in comparison to banners. Intuit, seller of turbo tax, a software product that is used by millions of US taxpayers to prepare their returns gains customer attention by providing and updating each issue of its e-newsletter and has segmented their ads to specific customers. The recipients don’t rail against this clutter as they have signed up for this information. So the secret to cutting through the clutter is not to scream louder or interrupt customers more often than your rivals, but to package your messages with useful information valued by the customers. Naked cartoon characters on a magazine cover may be the “in thing” but a naked human body still rules the roost as far as drawing attention is concerned. These days companies have moved away from the norm of hiring the hottest models or actors as brand ambassadors. The naked picture of ace tennis star Serena Williams on the latest edition of ESPN’s “The Body Issue” Magazine is one such example. Companies these days look more for a symbiotic relationship with the celebrities rather than the typical “You shed your clothes-We pay you a bundle” approach. This relationship revolves around the personality, antics and controversies of these celebrities. Serena Williams, for examples was more in the news not because of her powerful aces and forehands but because of the deadly verbal threat she gave to the lineswoman in the U.S. Open semi-final match. ESPN exploited this dark side of Serena to their advantage as consumers in this era are more aware of controversies. This is reflected by the fact that this Serena incident was the most searched event on the internet during the U.S. Open leaving behind the inspiring and surprising win of an underdog over Roger Federer in finals. You are right in guessing that Serena will equally benefit from this and must have chosen to market herself keeping the magazine in the background. In this competitive world even sports personalities plan the best possible way to market themselves. A brilliant method of utilization of market more for self rather than the old tradition of utilizing self for the market. But who cares even if both the involved parties are benefiting or not. All consumers want to do is lay their hands on the best possible body available even though its on a magazine cover. Gone are the days when hospitals were built solely for providing treatment. These days the healthcare industry has started marketing specialists and targeting specific segments that help them survive in this competitive industry. The industry is propelling itself into a new arena of building multispeciality hospitals. The consumers, patients in this case, have become more aware of their needs and the hospitals are seeking to take advantage of this opportunity. Patients no longer look for any doctor, instead they search for the best hospitals as they believe that the best hospital with the best services will definitely employ the best doctors in town. On a recent visit to one such hospital, I was amazed to see the detailed segmentation provided for various treatments. Looking at these different departments made me understand the motive behind this segmentation. The simplest reason is easy marketing, without any advertising, directly by playing with a patient’s mind. As soon as a patient enters the department, he assures himself by looking at all the specialists; that this hospital will be a one stop solution for all his problems. This patient then becomes a prime word of mouth advertising medium for the hospital. This business model reflects the way in which the health sector is able to take advantage of consumer behavior. But then again, take my advice and look for the best available medical services and leave the marketing behind.